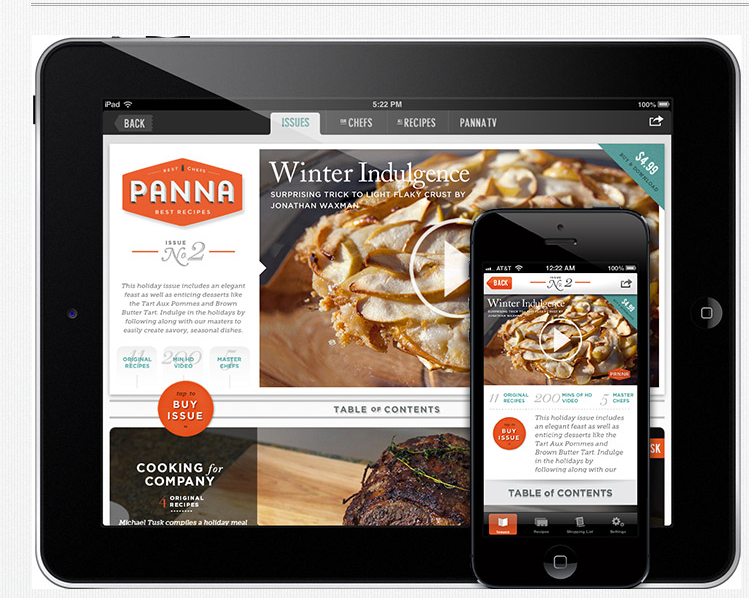 “Panna” for iPhone and iPad is a video cooking magazine with 13 recipes per issue along with videos and celebrity chefs like Rick Bayliss, showing how he makes chili. 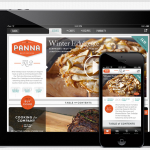 You get one free issue with main courses, starters and dessert. Subscription costs $15 a year.